Home / Information / What is CBD Oil? The popularity of "CBD Oil" has grown enormously lately. But what is CBD Oil? How is CBD Oil made? And what are the differences? CBD (cannabidiol) is the active substance in CBD Oil that is extracted from leaves and flower buds of the industrial hemp plant, a hemp variety that is legally grown. The CBD extract is sold as a dietary supplement. You can buy the CBD in the form of CBD Oil, CBD capsules, and as a component of other products, for example, skin products and even animal feed. CBD Oil received massive attention in 2013 when CNN broadcast a legendary documentary about a three-year-old American girl with epilepsy. Charlotte Figi suffered from intense attacks (up to 200 per week) from her first months of life, and (largely) got rid of it with the aid of CBD Oil. Since then people are massively searching for good CBD Oil. What is the difference between Weed Oil and CBD Oil? Cannabis plants and hemp plants are not the same plants but come from the same (cannabis) family and are therefore both cannabis plants. When you read something about cannabis somewhere, it can be about both hemp oil and cannabis oil (marijuana). The biggest and most important difference between hemp plants and cannabis plants is the fact that hemp plants contain little or no THC and a lot of CBD. Cannabis plants contain a lot of THC and little CBD. Oil with THC (cannabis oil) can be bought on doctor's prescription at the Transvaal pharmacy in The Hague. CBD Oil is tolerated in the Netherlands and is legally for sale in most other European countries. However, both components are said to have great benefits in the medical field. Because of this, both types of oil are also sometimes called medicinal cannabis oil. CBD Oil doesn't make you high. Cannabidiol is derived from the hemp plant, but is not addictive, does not work mind-expanding and does not produce hallucinations. THC (tetrahydrocannabinol) is the psychoactive substance that creates a 'high' feeling and this is usually only in cannabis oil. There are also some residual values ​​in CBD Oil, but these are so low that you will not notice anything. CBD Oil is taken orally. You hold the drops under the tongue for a moment and then swallow them. The oral mucosa absorbs the active substance quickly. It can also be taken with a piece of fruit or bread, or - if you have trouble with the taste or intake of the CBD oil - in capsule form. What is the correct dosage of CBD Oil? The dosage of CBD Oil is highly dependent on the symptoms for which you use the CBD Oil. Moreover, every person responds differently. So it is mainly a matter of trying it yourself. Start with a low dose of CBD Oil (for example, two drops per day) and slowly build up until you have found a dose that is effective for you. It may take a while for CBD Oil to take effect, so give it a few weeks to decide whether it is for you. CBD Oil is available in various concentrations, from 2.5 percent to even 10 percent, with 5 percent being the most used. A lower concentration of CBD Oil is often only used preventively, or used in light or beginning complaints. Buy the CBD Oil through a reliable source and make sure that there is no or very little THC in it. For example, leading brands are always reliable. Always consult medical practitioner / specialist beforehand and keep doing this during use if something seems to change in your situation. This way you can be sure that the CBD Oil has no interaction with the medicines you take. If the CBD Oil struck you can possibly reduce the dosage of other medication in consultation with your specialist. If you notice no effect, stop it again; CBD Oil unfortunately does not work for everyone. Take special care with narcotics such as alcohol, benzodiazepines (medicines with a relaxing and relaxing effect, such as valium and all medicines ending with 'pam') and all opiates (morphine, various painkillers, but also heroin). CBD Oil, certainly the cheaper version, can also work lightly sedative, this can strengthen each other's effect. So always extra attention in traffic! CBD Oil in low concentrations, without THC, generally does not cause any side effects and can be used by almost everyone, as long as the recommended dosage is taken into account. Women who are pregnant or breastfeeding are not recommended for use, because insufficient research has been done. There are 3 different methods to extract CBD extract from the hemp plant, namely by means of; oil extraction, alcohol extraction or CO2 extraction. All forms of extraction provide a CBD Oil with varying properties. 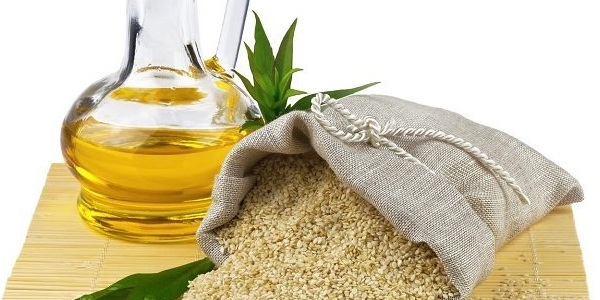 With CBD extraction with oil, also called oil carrier method, the hemp is immersed in oil for a long time. Usually, use is made of hemp seed oil or (organic) olive oil. During this process, the CBD is immediately absorbed into the oil. If you sift the oil after this process, you will have a rich CBD Oil with a smooth taste. In alcohol extraction, the hemp is briefly soaked in alcohol, causing the CBD to dissolve in the alcohol. If afterwards the alcohol is heated and evaporates, a sticky paste remains that is rich in CBD. This paste is then diluted with oil (hemp seed, coconut or olive oil) to make a convenient dosable product. Alcohol draws are most of the drawbacks. In alcohol, not all nutrients and other cannabinoids dissolve well, making it a less rich product. CO2-extraction uses supercritical carbon dioxide. Carbon dioxide (CO2) is a gas under normal circumstances. This gas is cooled and compressed, giving the substance properties of both gaseous and liquid CO2. This is called supercritical CO2. This form of CO2 is then used to extract the CBD from the hemp. In this extraction process no use is made of heating, so that in addition to CBD other cannabinoids, terpenes and nutrients are well preserved. This creates a very rich CBD Oil which is also called full spectrum CBD Oil. This CBD Oil is sharper in taste than the oil obtained from oil extraction. Some producers choose to isolate the cannabidiol (CBD) from the extract after CO2 extraction. The isolate that remains is a white powder that we call CBD crystals. These crystals consist of about 99% of CBD. CBD in crystal form is the purest CBD extract that exists. A very big disadvantage of these crystals is that a lot of cannabinoids and terpenes are lost during the production process. The full spectrum of cannabinoids and terpenes (also called the 'entourage effect') provides a very powerful CBD product and therefore the best CBD Oil. The different substances reinforce each other's effect, which gives them much better support for medical complaints. Because CBD crystals no longer contain these other cannabinoids and terpenes, the effect is much less effective. Pure is not always better!